Grapes: grown on choice land in surrounding region of La Motte en Provence, consisting primarily of Grenache, Cinsault, Rolle, Syrah, and Tibouren. Vinification: Harvesting at sunrise to noon. Destemming and slight crushing at 7-8 degrees Celsius to avoid oxidation. Both, free run juice and pressed juices are vinified in stainless steel. 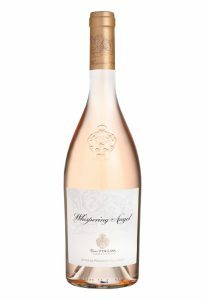 Tasting notes: A fresh, juicy, and flattering rosé, offering white cherry and raspberry fruit laced with bright acidity and backed by a streak of talc detail on the finish for spine.